Eight-year old Greg Khouri shows off his drawing of the 1975 Dadamore that he designed for AMC Canada Limited. He’s standing in the president’s parking spot in front of the plant in Brampton, Ontario. 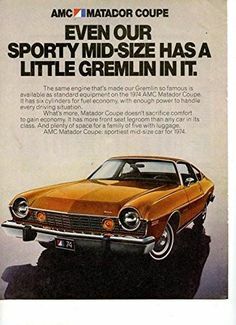 When Greg Khouri was eight years old, the pint-sized American Motors fanatic created a design for a future AMC model that he dubbed the Dadamore. The hybrid name honoured his father, whom he loved with all his heart—and AMC’s beautiful new Matador—which he admired greatly. Greg’s Dadamore rendering was inspired by the beautiful 1974 AMC Matador coupe. Greg recollects that his Dadamore outclassed everything currently on the road in terms of safety, reliability and power: His detailed plans include a unique triple braking system that combined drum, disc and air brakes; Because his dad’s Rebel had a bad case of Canadian cancer, he proposed to make the body from fifteen layers of steel. For comfort, he added and an elaborate air conditioning system that in hindsight, would have required a portable power plant to supply sufficient energy to operate it. Greg’s father, George, was a teacher, who always sought to bring out the best in children. He encouraged and praised Greg in every endeavour he undertook—whether he excelled at it or not. George instilled values in his son by example. George was modest, thrifty and prudent. He was most proud of his possessions and took good care of them. That care was extended to his automobiles. Greg recalls that no nick was too small to be buffed out and every scratch received prompt attention. In 1975, father and son trekked to Toronto, to celebrate Easter with family. The seven-hour trek from Montréal was made in the family’s trusty Russet Red 1968 AMC Rebel 770. Greg remembers that the sedan’s front fenders flapped noisily in the breeze because they had been thoroughly eaten through by rust. One of the adventures the father and son duo undertook that long weekend in T.O. was to wander out to Brampton to see AMC Canada’s national headquarters. When they arrived at the corner of Kennedy and Steeles, the factory was closed for the Easter holidays. Open or not, Greg’s dad thoughtfully memorialized the occasion by snapping a photo of Greg —and the plans for the Dadamore—standing next to the president’s parking spot. The youngster then excitedly dropped his Dadamore plans into the mail chute, in hopes that Mr. Pickett would receive them. 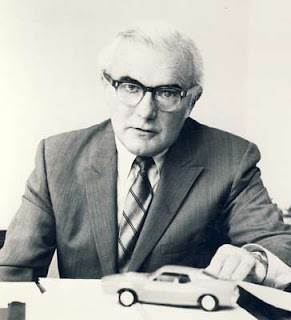 William (Bill) S. Pickett was President of American Motors Canada, Limited. Unbeknownst to Greg, his dad had conspired with Mr. Pickett to give the young lad the surprise of his life. Bill Pickett loved children and the generous man took time out of his holiday weekend to give the budding stylist the thrill of a lifetime. That Saturday evening, the phone rang at Uncle Fouad’s home, where the Khouris were guests. 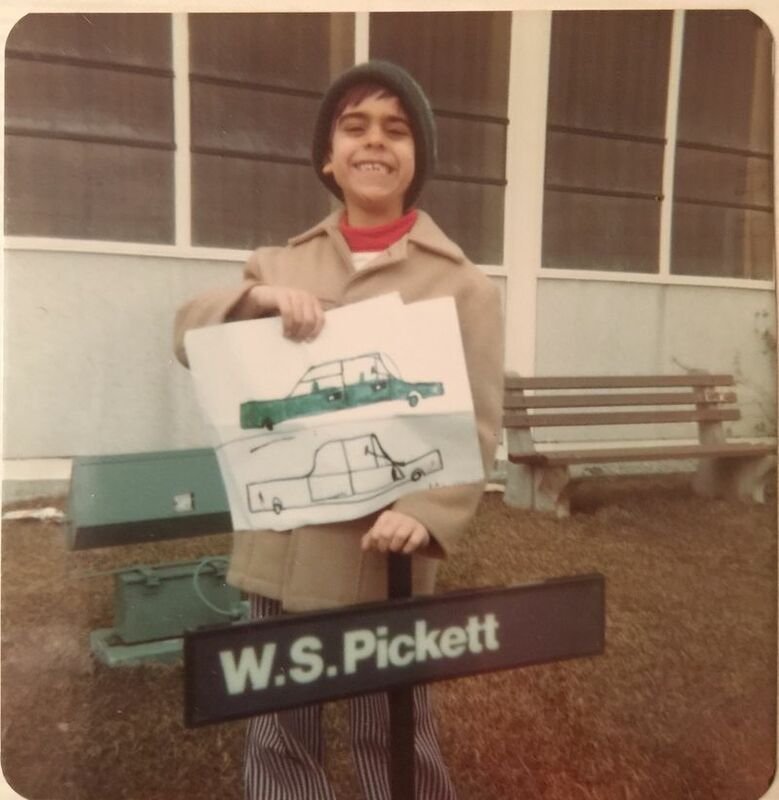 On the other end of the line was none other than William S. (Bill) Pickett, president of American Motors Canada Limited—and the phone call was for eight-year old Greg. 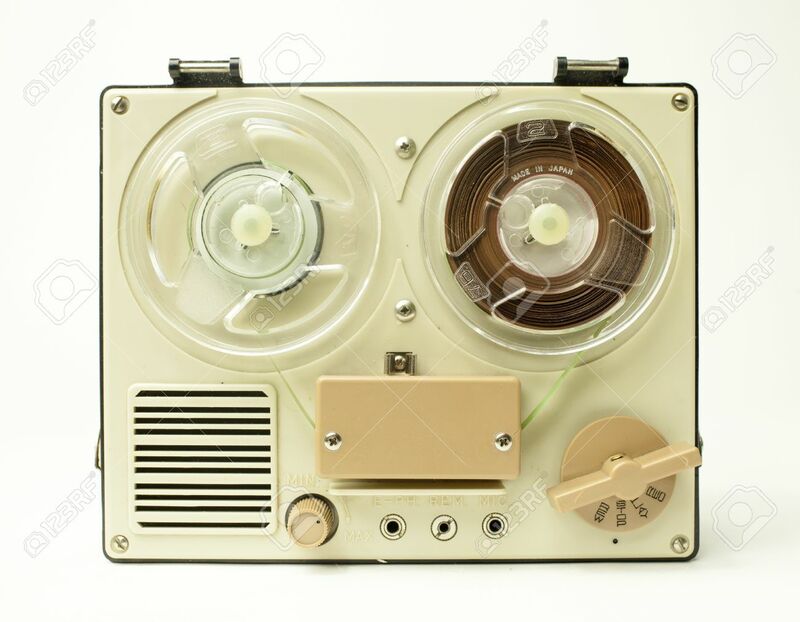 Uncle Fouad was a shortwave aficionado and an electronics communication geek who had surreptitiously hooked up a tape recorder to the telephone in order to record the conversation between the two. 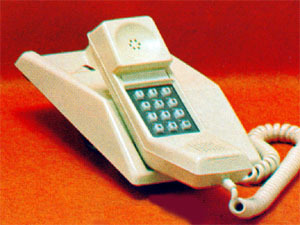 The Contempra was designed in-house by Northern Electric Limited to honour the 100th anniversary of the Canadian invention of the telephone. (Secretly recording) Dad: Good afternoon. This is Saturday afternoon at 3:45pm in Toronto, Ontario at (Greg’s Uncle) Fouad’s house. We have just come back from Brampton, Ontario, and we’re expecting a call from Mr. Pickett for Gregory to discuss the plans of the new Dadamore car. This is Holy Saturday, March 29, 1975, in Toronto Canada. Now we’re standing by for the call from Mr. Pickett, President of American Motors in Brampton, Ontario, to discuss the plans for the Dadamore car with Gregory. Bill Pickett: William S. Pickett Hello ?Hello, Mr. Khouri ? No ... No, this is his son, Gregory. Bill Pickett: Oh hello, Mr. Khouri. This is Mr. Pickett from American Motors. Bill Pickett: I got from my people the plans that you delivered down to our plant. You have some pretty interesting ideas there. Bill Pickett: Listen, I have to go down to Detroit for a meeting with my people on Wednesday of next week. Could you be available? Bill Pickett: You’ll try, eh? Well, we’ll be meeting at American Motors at 10 o’clock on Wednesday next, eh? Bill Pickett: Now listen, the one thing that I’m a little concerned about is the air-condition system that you show on that car. Looks to me as though it’s going to be a little expensive. Greg: I know ... anyway I tried to make it fancy, so most people could buy it. Bill Pickett: I see. Ah, well, you know at American Motors, we rely on putting out a product that not only is utilitarian, but not too so expensive, you see? Bill Pickett: And if we get into a pretty fancy arrangement like the air-conditioning plan I see in your car—well—I don’t know if we’ll be able to put it at a price the public could afford. Greg: Oh, I think I’ll make the price around four thousand. Bill Pickett: Around four thousand? That sounds pretty good. But, you see, what we have to do with a new model like this, and it’s something we have to look at very carefully, we have lot of plant and equipment to buy and the tooling costs a lot of money. Now, what do you think we’ll have to spend in terms of tooling up this new car? Greg: Oh, around ... let’s see ... maybe around five thousand dollars. Bill Pickett: Around five thousand dollars? That doesn’t sound too bad. Ah, I’ll discuss it with my colleagues and hopefully you can down to Detroit on Wednesday, eh? Bill Pickett: Fine. Now at the same time perhaps you can give my accounting people some idea of what you want to charge for the plans, because this is a pretty interesting proposition. Bill Pickett: Hello ? Greg: Hello ? Have you decided on what kind of changes you’re going to make for the plans? Bill Pickett: So what kind of figure have you in mind, a ball-park figure, so I can discuss with our financial people. Greg: Let’s see now ... look, I’m going to try to make ... Did you get, ah, the ten cylinders? Bill Pickett: Ah, well, we may have to cut down on the cylinders a little. Ah, I don’t know if we can make it ten;we might be able to go down to nine. Greg: Did you understand what I meant by the brakes? Bill Pickett: Uh-huh. Yah. Yah. Ah, well I’d have to talk with my technical people too. They’re pretty excited about this. But, as I say, we can kick this around when we get down to Detroit. Greg: OK.
Bill Pickett: Okay, fine. I look forward to seeing you in Detroit on Wednesday, eh? Greg: OK.
Bill Pickett: Thank you. Bye-bye. The price discussed in regards to Greg’s sketch of the Dadamore was $4,000 but more than forty years later, the memories of his conversation with William S. Picket are priceless. What a genius kid with a beautiful heart. We should always motivate our kids to think out of the box and be unique. This kid is a living example.